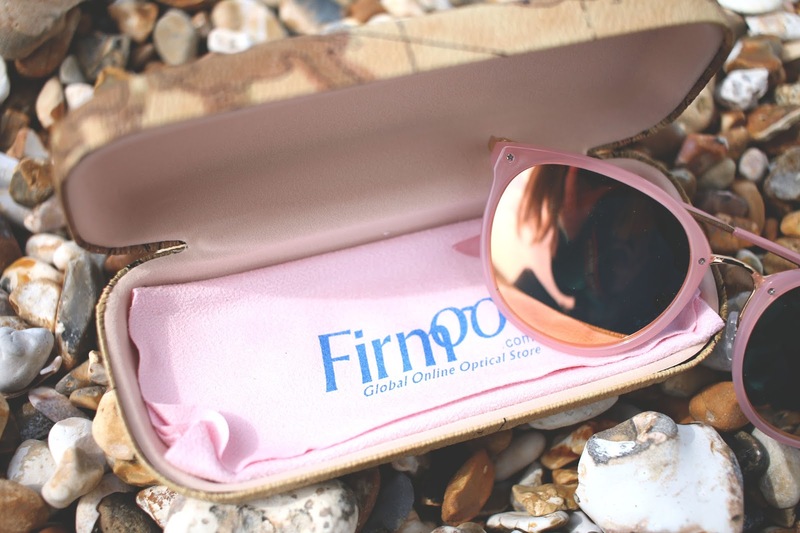 I hadn’t heard much about the brand Firmoo, but had seen a handful of other bloggers with a pair of their sunglasses/glasses. Since I’m quite the sunglasses hoarder, I wanted to try a pair for myself. I usually opt for black, brown or even tortoiseshell so this time I decided to go with something a bit more colourful…pink! 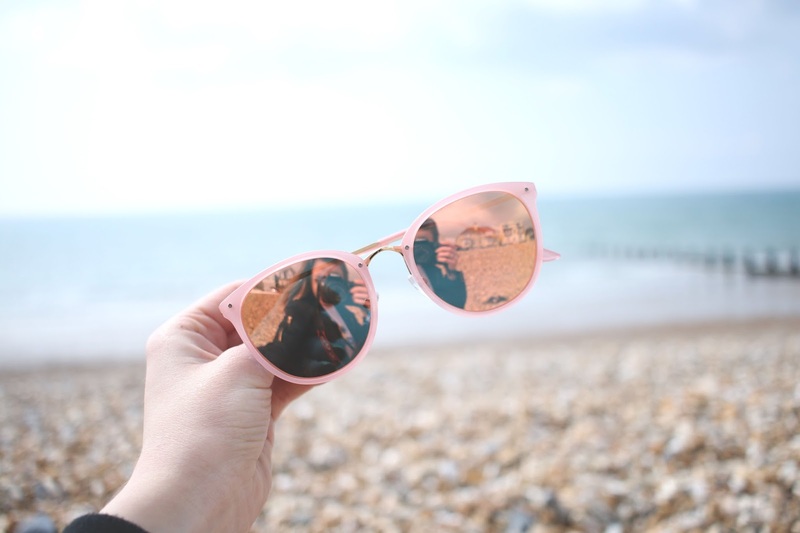 I adored this pair* of sunglasses so much, I don’t own anything like them. I’ve always been a fan of the cool coloured reflective lenses, but never found a pair that suited me, until now. The lenses have a rose gold tint to them, which ties in perfectly with the pink frames. The quality is really great, and so is the fit. They come with the most gorgeous case as well which surprised me. Its a map print which is really vintage looking and very trendy indeed. Alongside this it comes with a posh little cloth to clean your glasses with, and its even pink to match the glasses, how adorable! I recently wore these on my little trip to the beach and they protected my eyes wonderfully, and looked super cool if I do say so myself. Firmoo have also kindly asked me if I would like to host a giveaway to win a pair of their eyeglasses (this does not include sunglasses), you can have a look at the range of glasses available to win here. The giveaway will run for exactly 3 weeks and the winners will be picked on the 8th June. The winners will be picked at random via Rafflecopter. The winners will have 48 hours to send over their details or another winner will be picked. The winners will be issued with a voucher code that they will be able to use in order to redeem their pair of glasses. Please note, shipping and handling fees DO apply and upgraded lenses and add-ons will be charged. Good luck to everybody who is entering!